Dr. Ken Smith has served as Virginia Tech’s vice provost for academic resource management since January 2013. As vice provost, Ken provides institutional leadership for budgeting, capital outlay planning, space management, performance data and continuous improvement processes for the academic programs. He is leading the university’s current efforts to implement a performance based budget system for academic programs, including designing and implementing new methods for data sharing and predictive analytics to inform resource allocation. 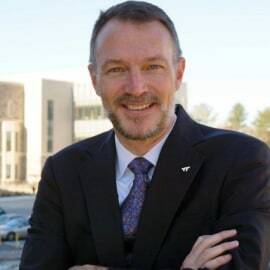 Prior to his appointment as vice provost, Ken served as associate provost overseeing the budgetary and fiscal operations of the academic support units in the Office of the Senior Vice President and Provost. Before coming to the provost’s office, Ken served as assistant director for budget operations in the Virginia Tech Office of Budget and Financial Planning and as a budget analyst in the Commerce, Resources and Trade section of the Virginia Department of Planning and Budget. He began his career as a budget analyst in the Virginia Department of Conservation and Recreation. Ken holds a PhD in Educational Leadership and Policy Studies from Virginia Tech. He earned both a Master’s Degree in Public Administration and a Bachelor’s Degree in Political Science from Virginia Commonwealth University.